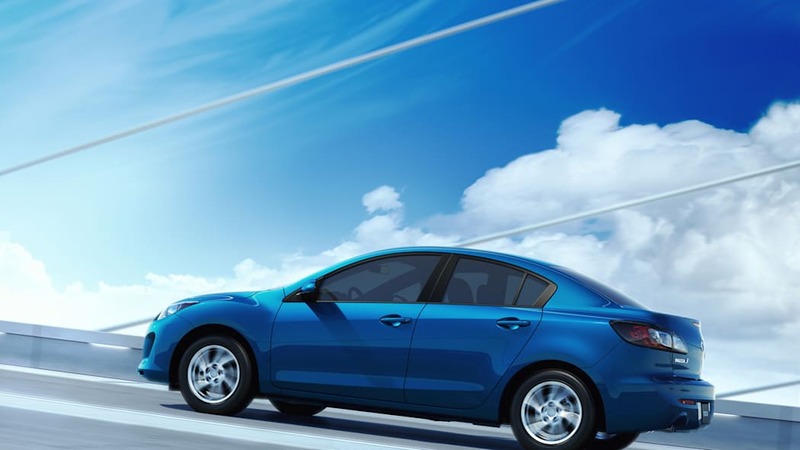 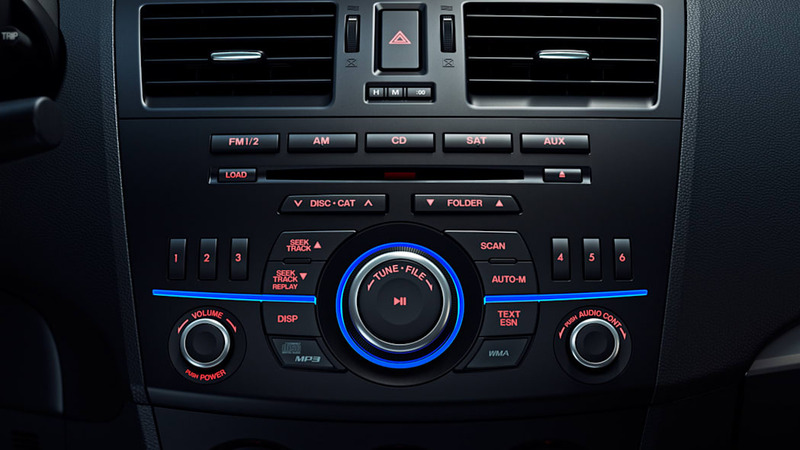 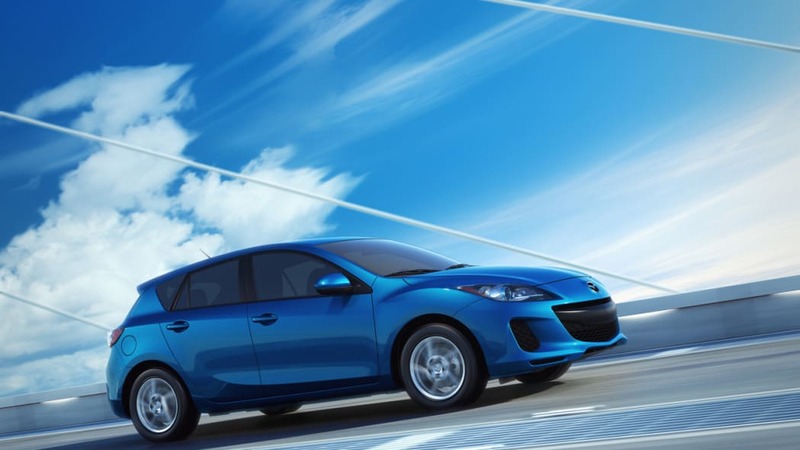 The 2012 Mazda3 has officially made its debut at the 2011 New York Auto Show, and it's brought along the first production use of the long-awaited SkyActiv fuel-efficiency tweaks. 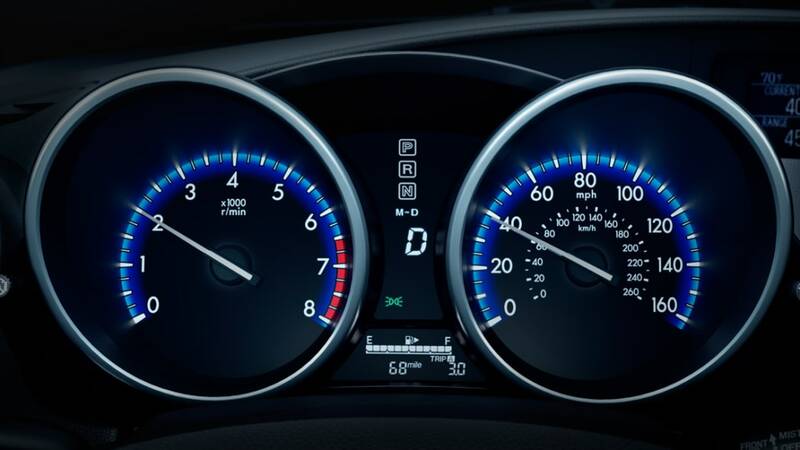 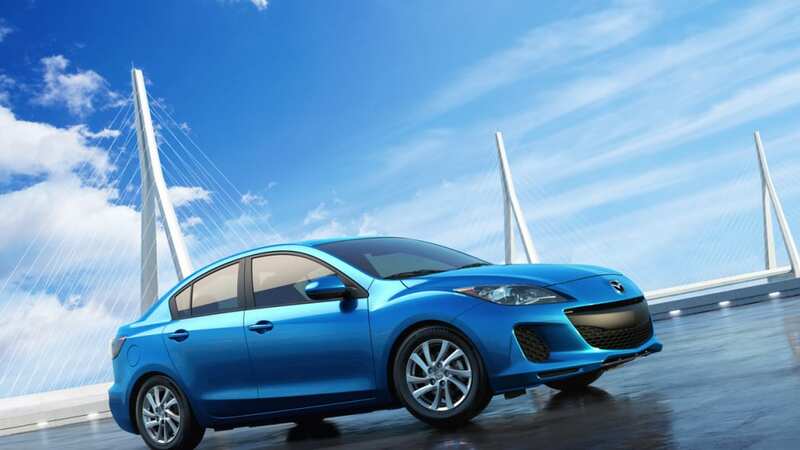 That means the newest Mazda3 is good for a whopping 40 miles per gallon on the highway thanks to the addition of a new SkyActiv-G four-cylinder engine mated to either a new six-speed automatic or manual transmission. 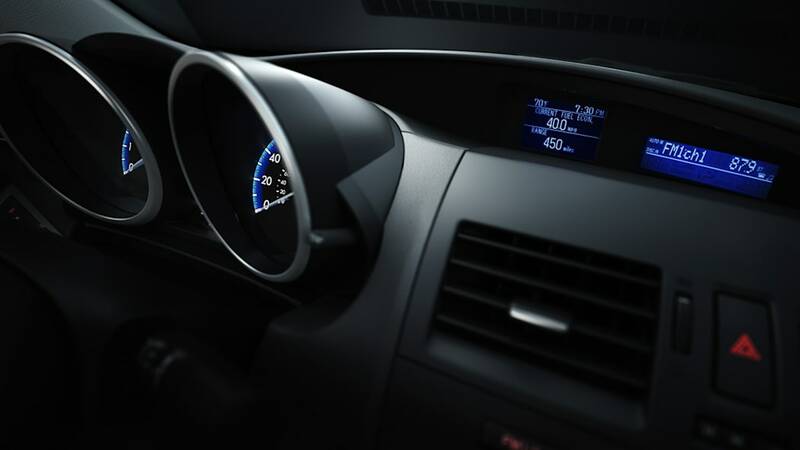 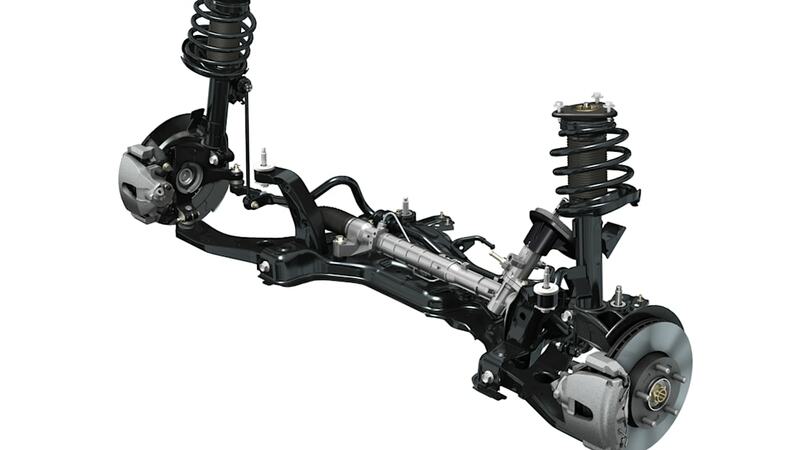 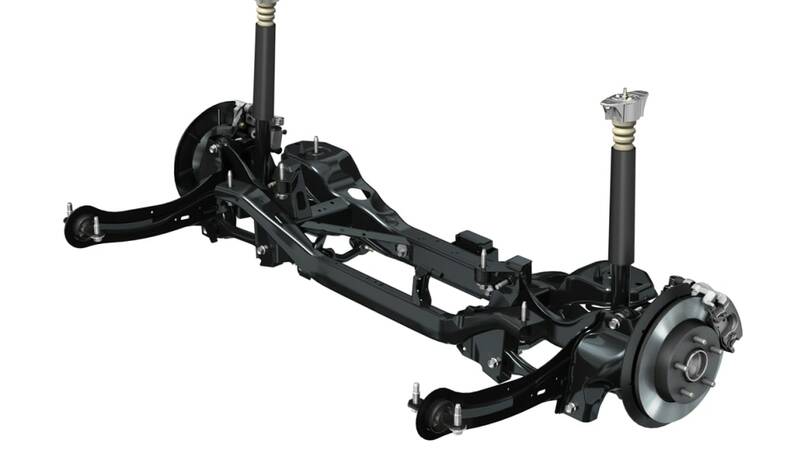 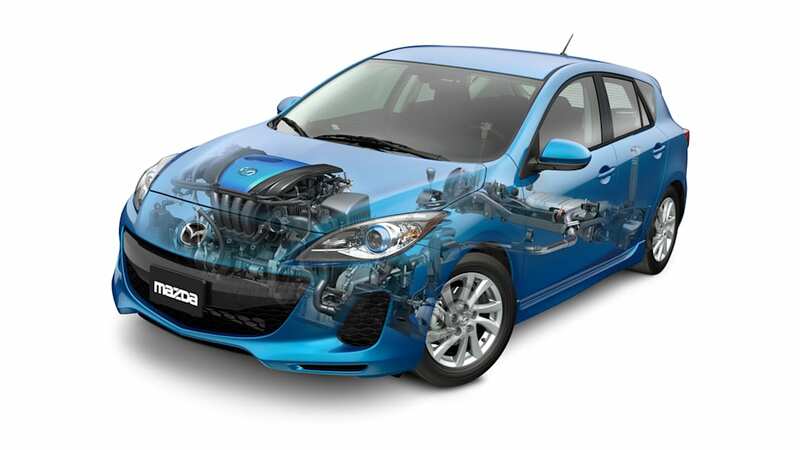 Previously, the Mazda3 has only been good for up to 33 mpg in its most efficient form, but the new drivetrain advancements will go a long way toward making the model more competitive against ever sharper metal from Ford, Chevrolet, Hyundai and Honda. 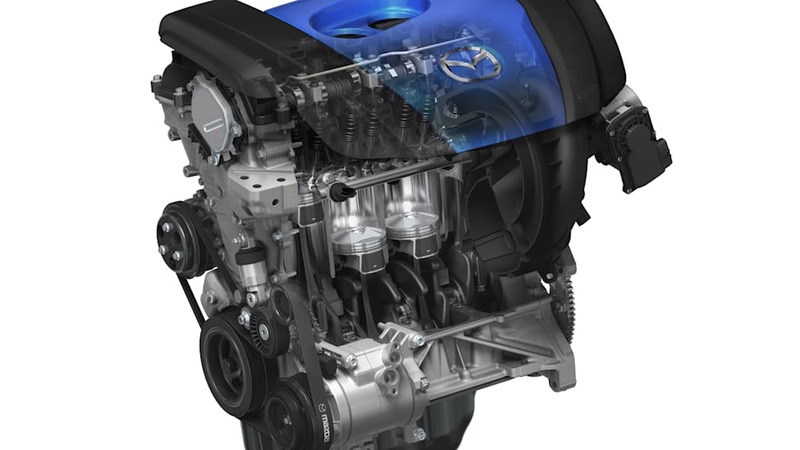 Mazda says that the new 2.0-liter, direct-injection four-cylinder is good for 155 horsepower and 148 pound-feet of torque, which offers modest increases over the old, non-DI 2.0-liter mill. 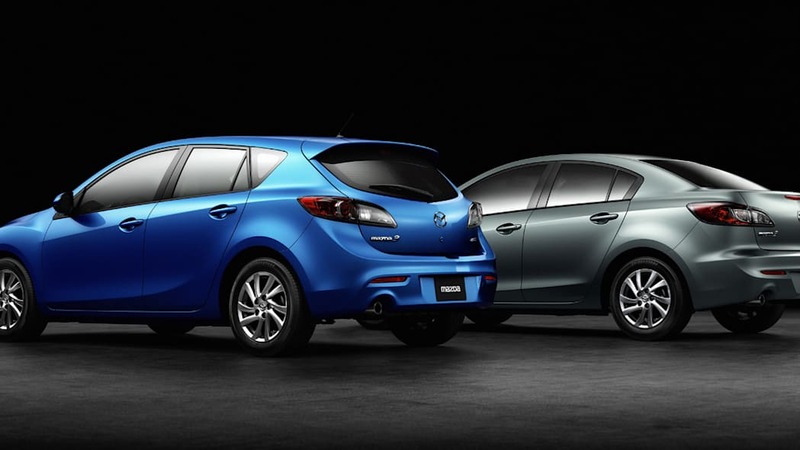 That old lump will still be around as standard equipment on the sedan, though don't expect to see it on the Mazda3 hatch. 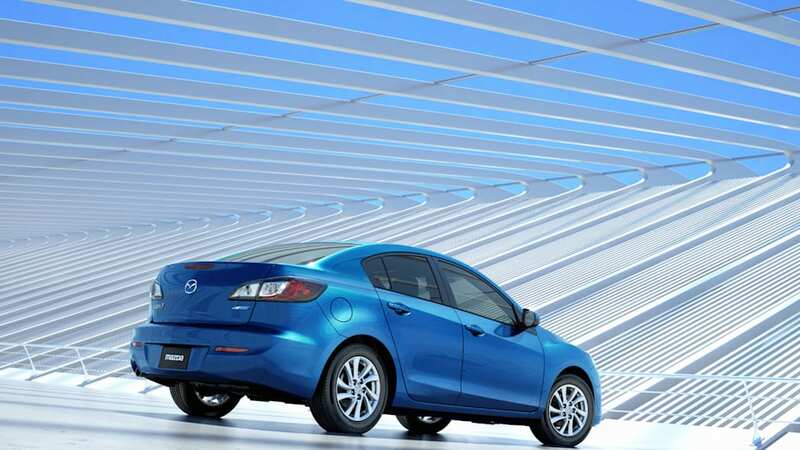 Instead, the long-roof will still benefit from the larger 2.5-liter four-cylinder found in the last-gen vehicle. 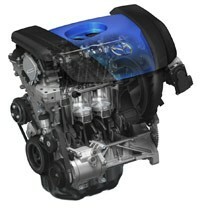 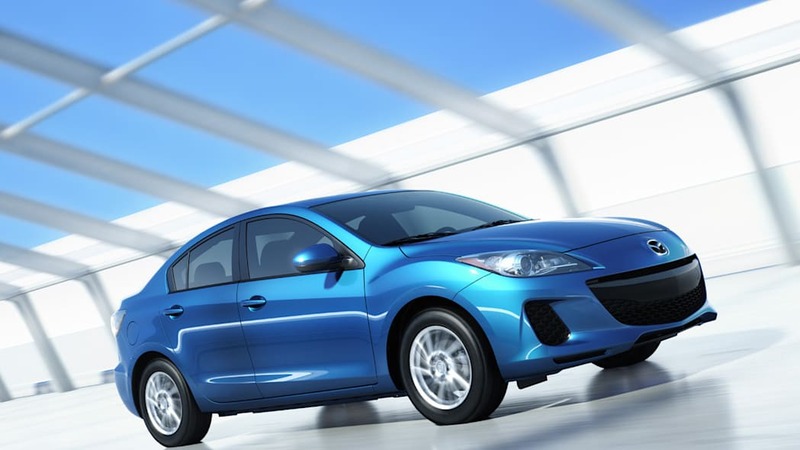 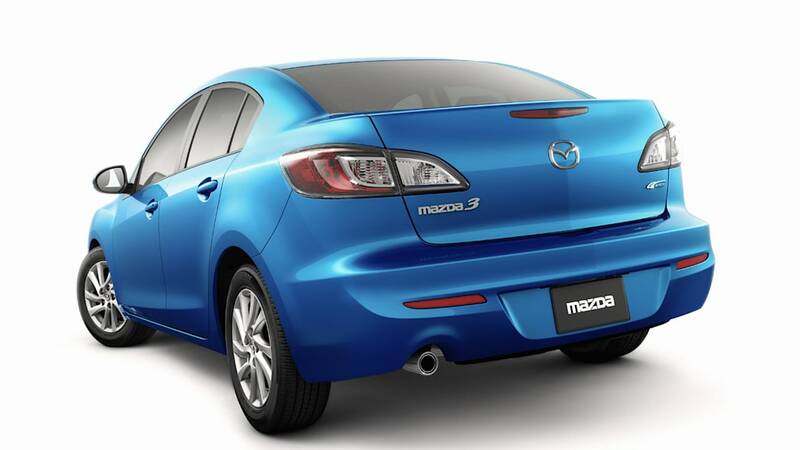 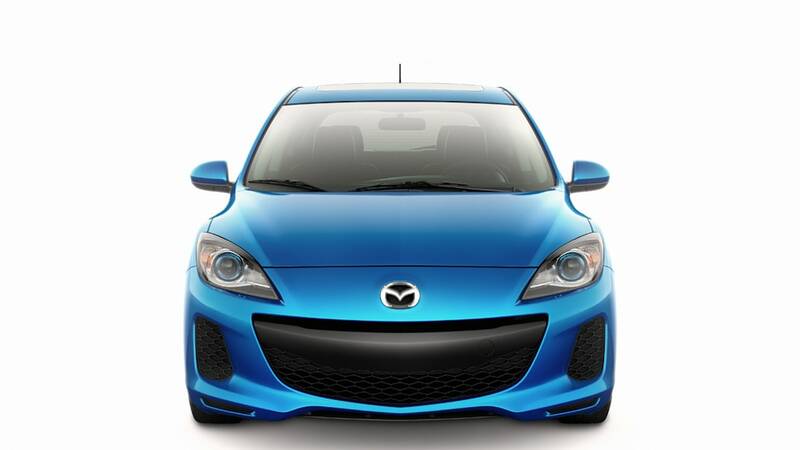 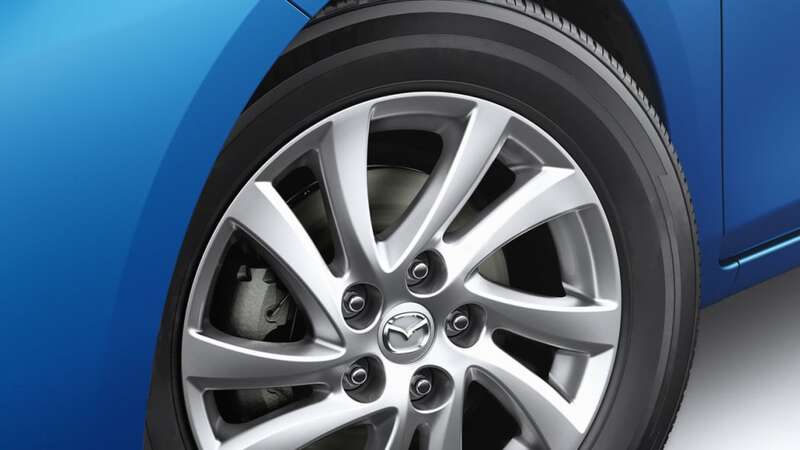 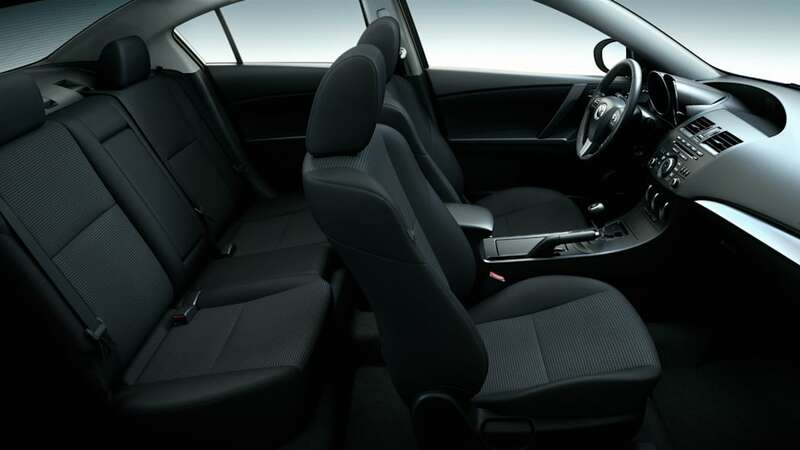 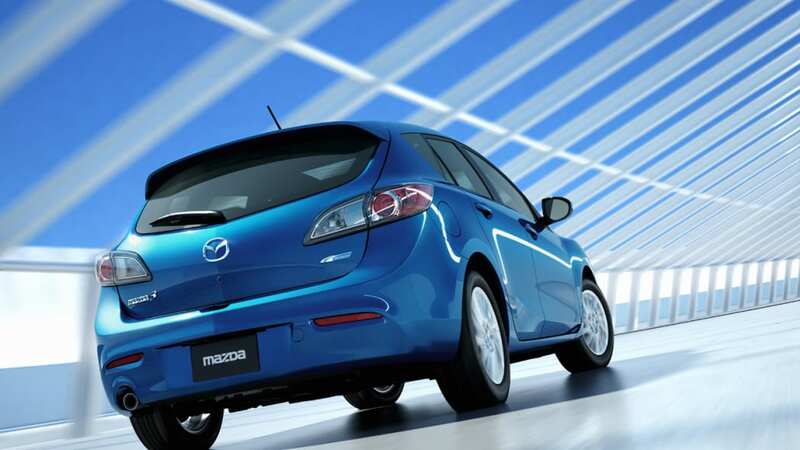 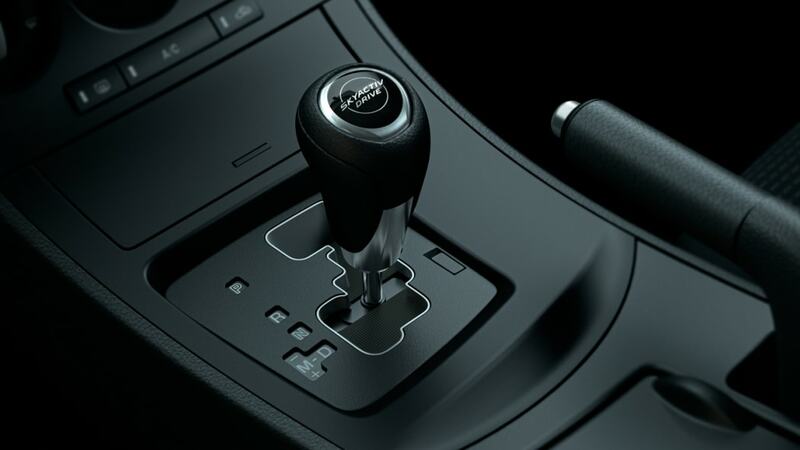 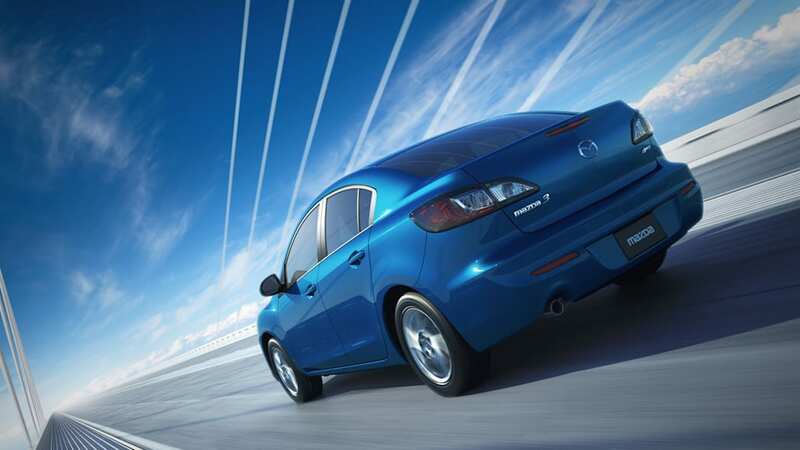 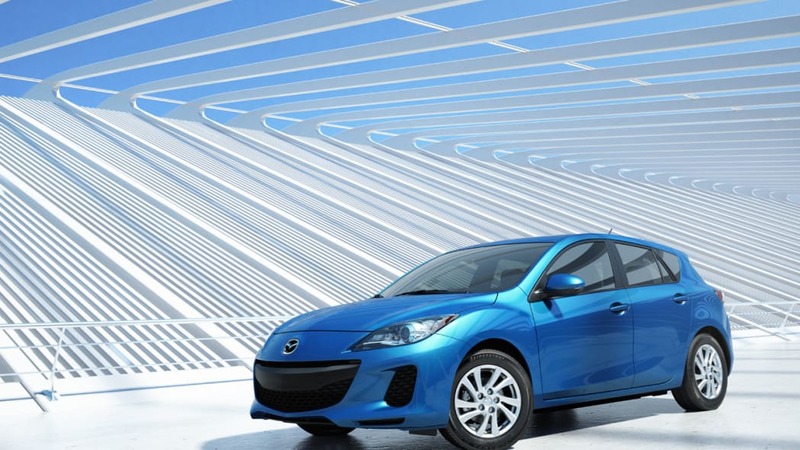 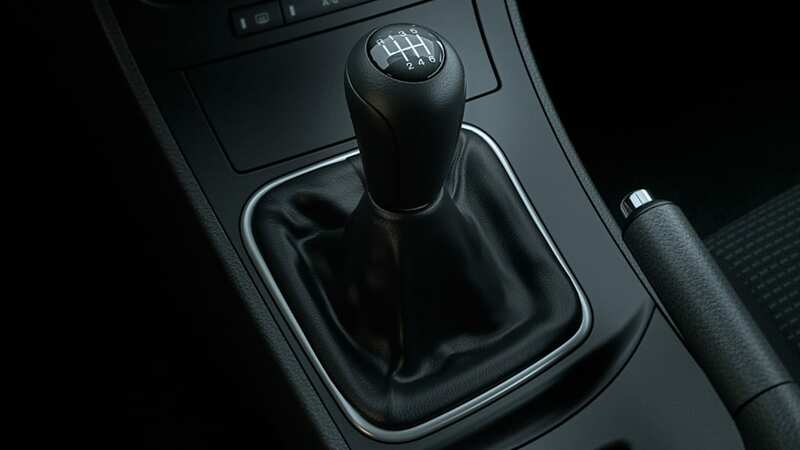 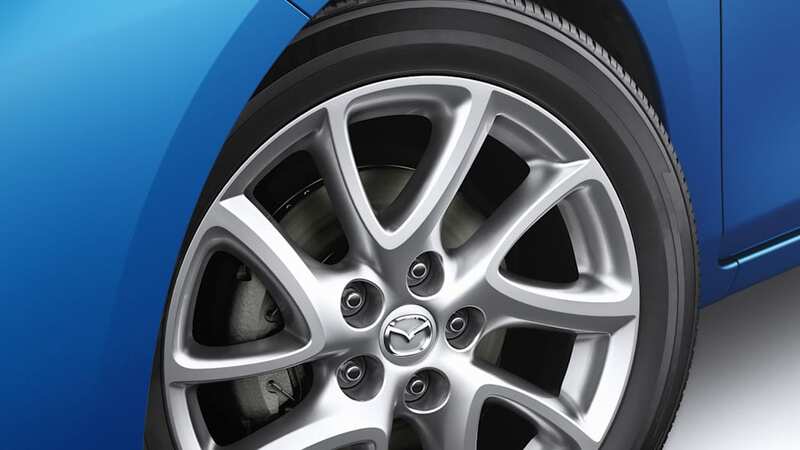 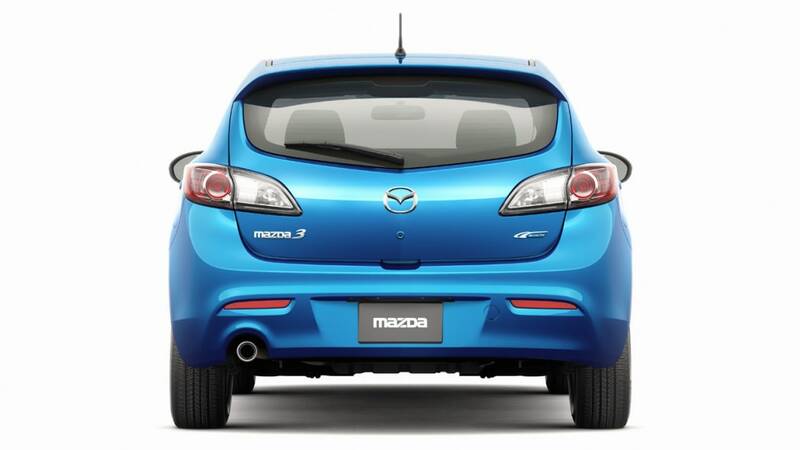 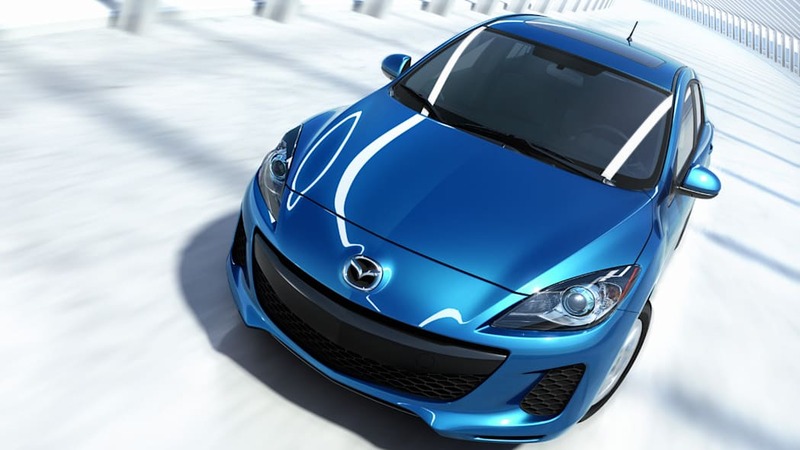 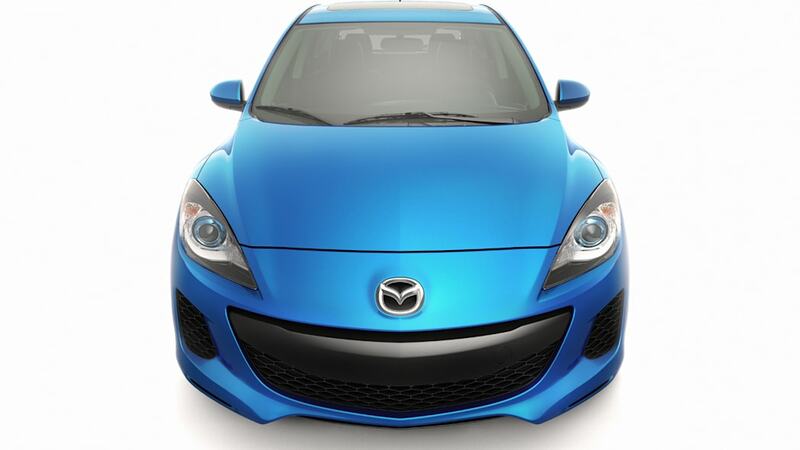 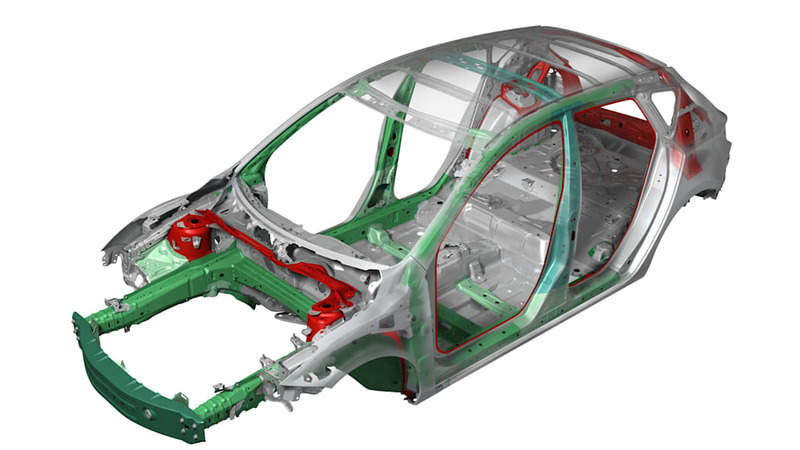 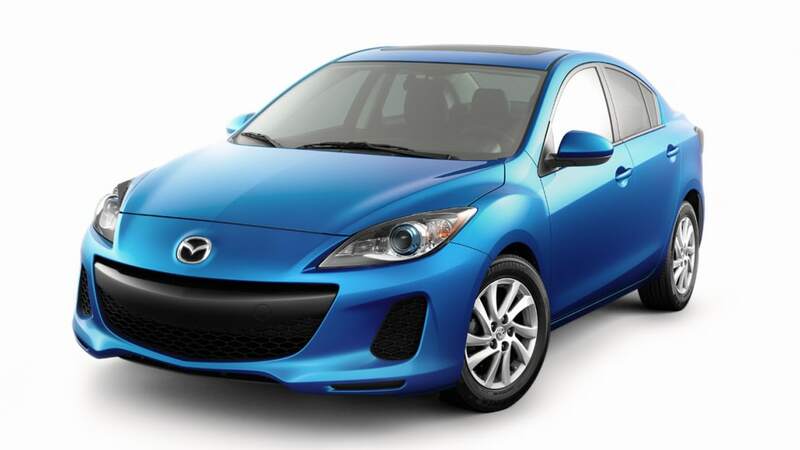 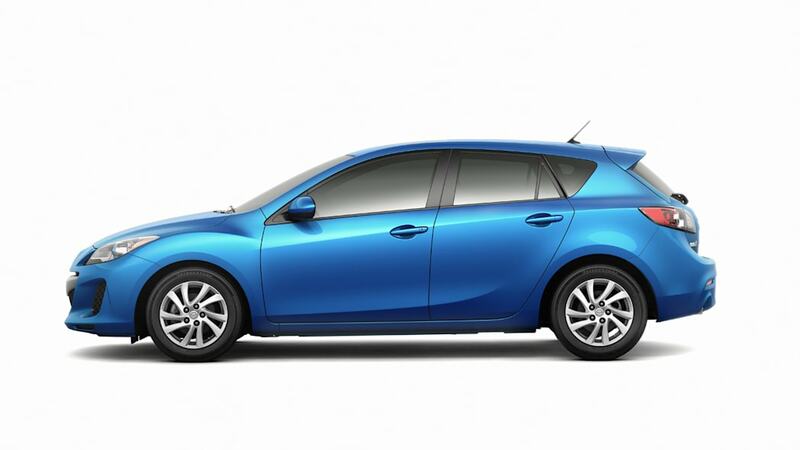 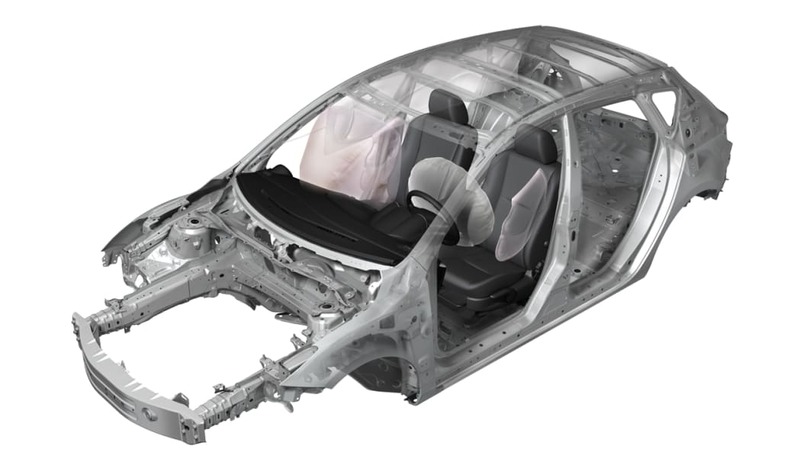 In addition to the newly-efficient drivetrain, the 2012 Mazda3 also wears a suitably updated exterior. 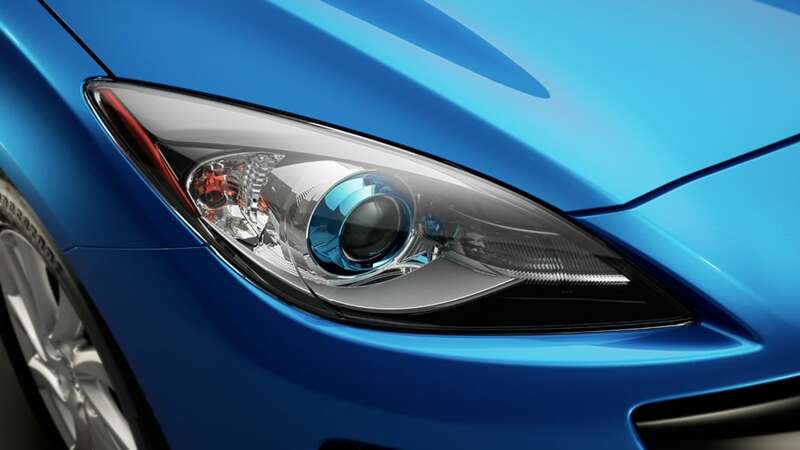 Buyers can look forward to redesigned headlights and an adjusted front fascia with a slightly different grille that tones down the exuberance of the car's trademark grin. 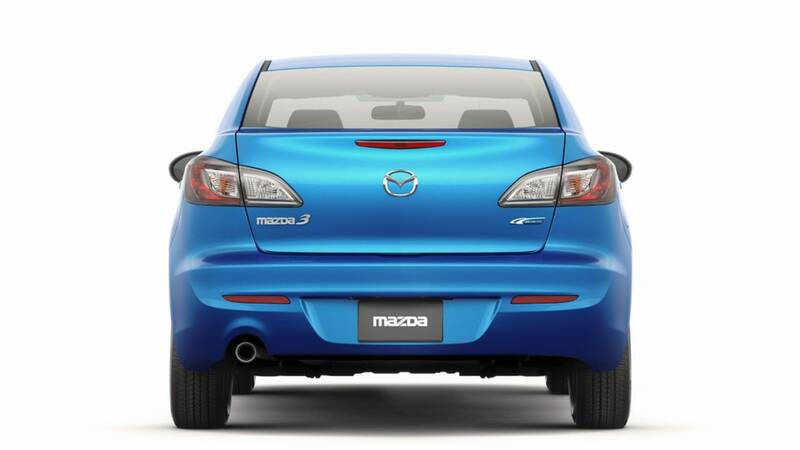 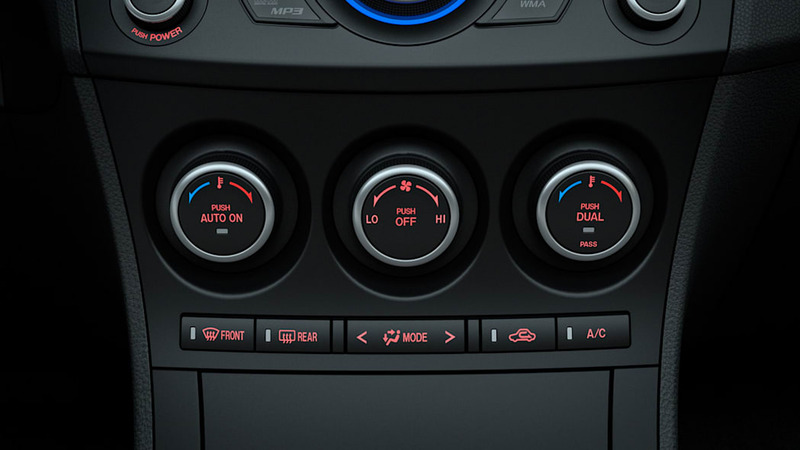 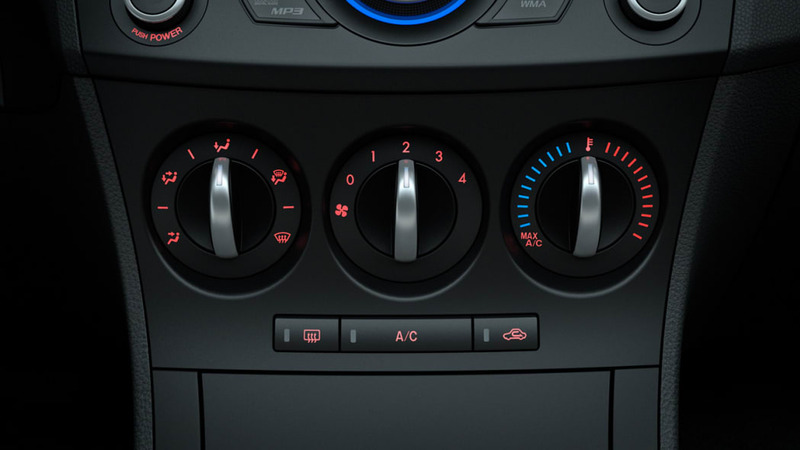 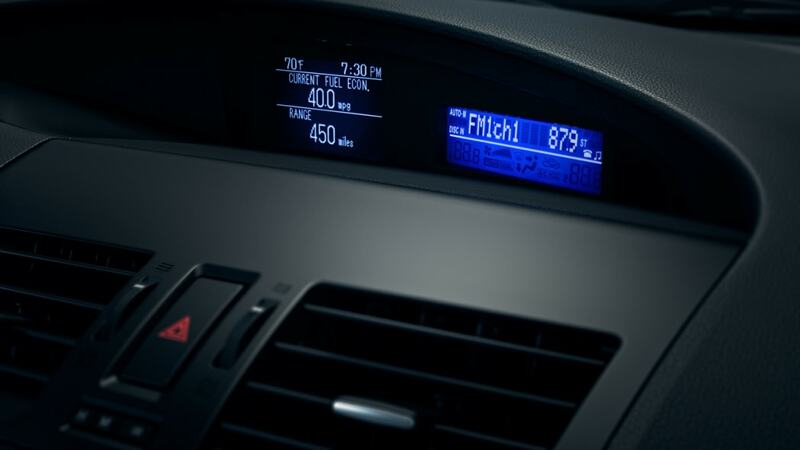 Likewise, the rears of both the sedan and hatch have received a subtle warming-over. 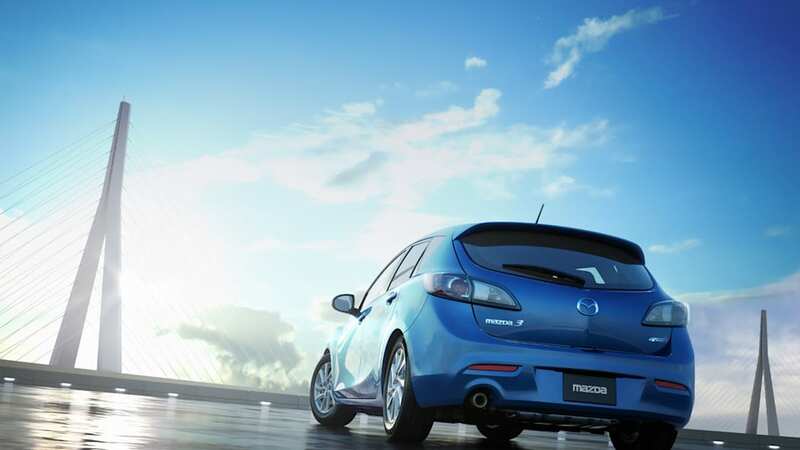 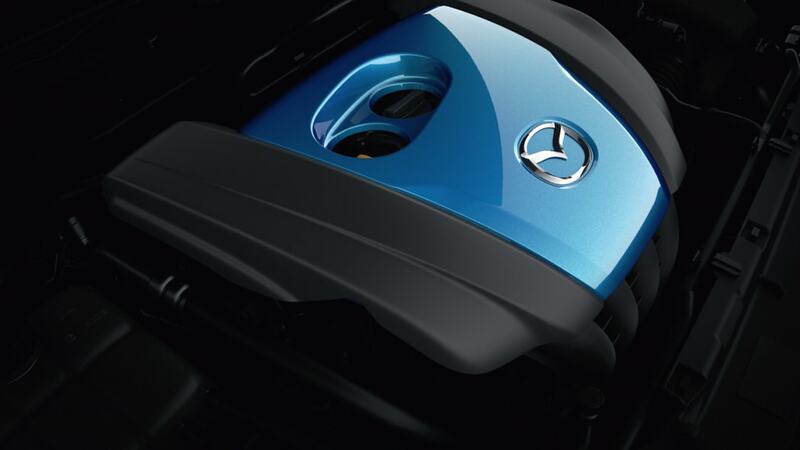 Follow the jump to hear it from Mazda's own mouth. 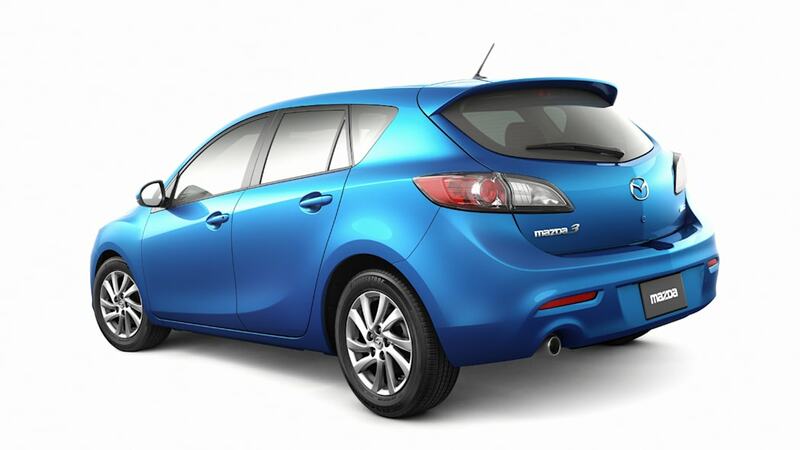 NEW YORK (April 21, 2011) – The 2012 Mazda3 made its U.S. debut today at the New York International Auto Show. 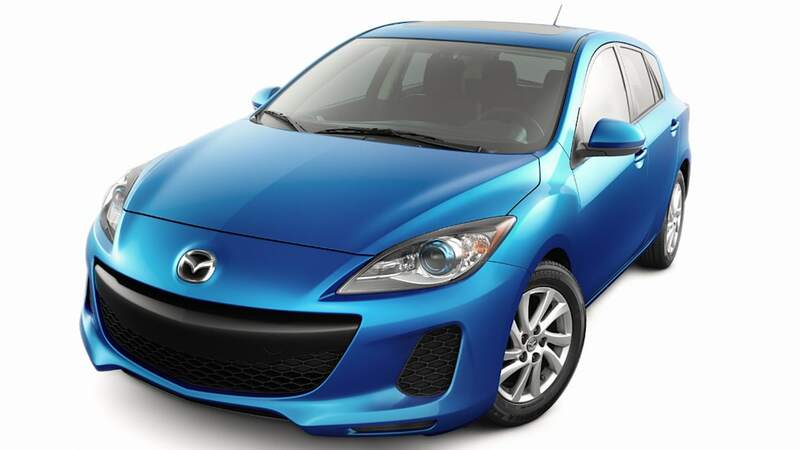 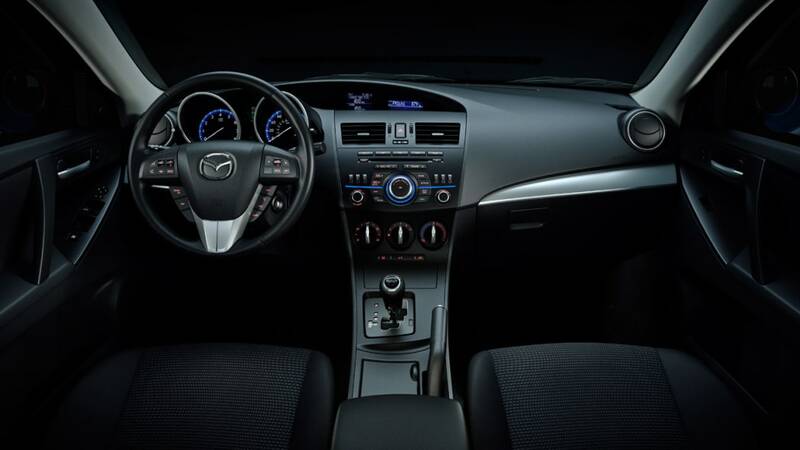 Face-lifted with an even more refined exterior and interior, the 2012 Mazda3 also is the first application in North America of Mazda's innovative SKYACTIV fuel-saving and performance-oriented technologies, achieving 40 mpg on the highway. 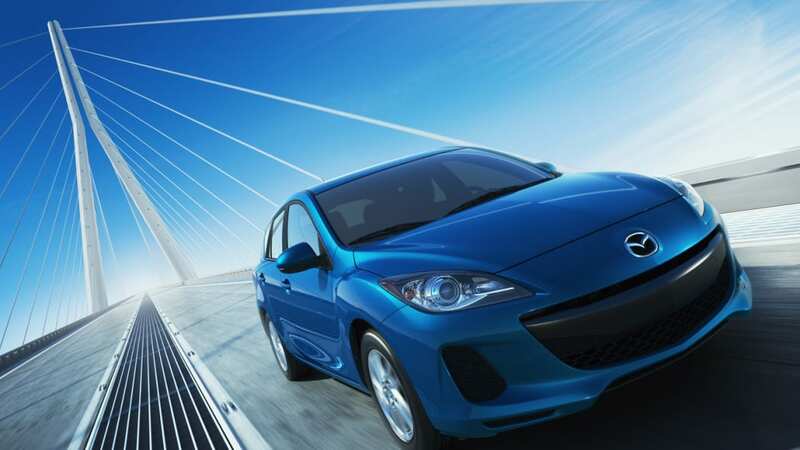 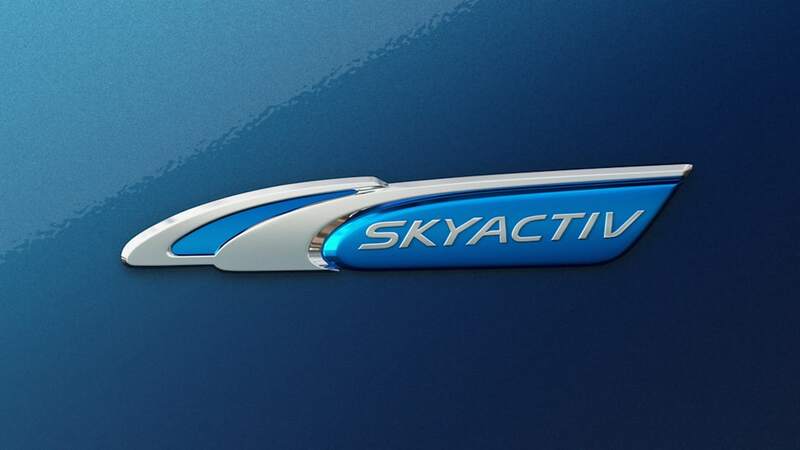 The Mazda3 model is Mazda's best-selling vehicle worldwide and accounts for nearly half of all Mazda sales in the United States, making the vehicle a prime candidate for introducing SKYACTIV to consumers looking for dynamic performance coupled with high fuel efficiency.